Stephanie Young is an ambitious entrepreneur out of Louisiana by way of Mississippi. 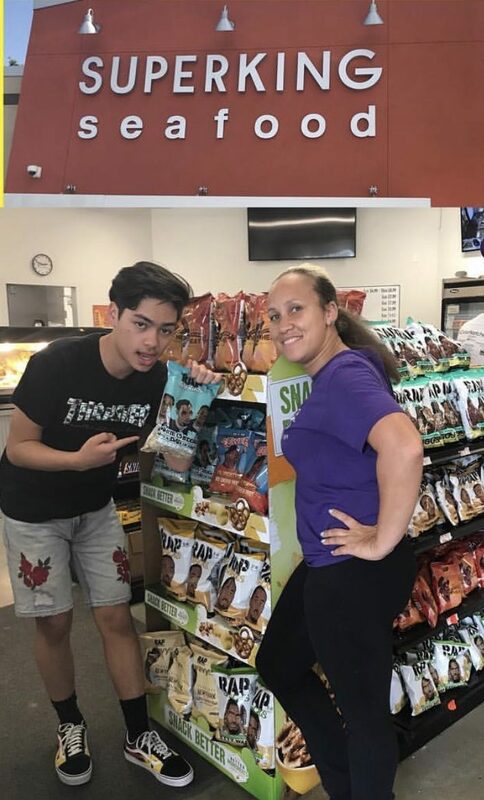 Stephanie is also the Rap Snacks distributor for Baton Rouge, LA and its surrounding counties. Boss Up sat down with Stephanie to talk about her inspiring journey as an entrepreneur. BOSS UP: So, Stephanie, tell us a little about yourself, your background – Where were you born? Where did you grow up? What was your childhood like? Do you have siblings? BOSS UP: What was your elementary/high school educational experiences like? STEPHANIE: Education in MS was imposed on you as a necessity for a way of life. I just knew to go to school to learn and get all the knowledge they would give. Therefore, my experience was pleasantly educational. BOSS UP: Have you always had a passion for entrepreneurship? STEPHANIE: I always wanted to be a nurse from my family background but I always wanted to be a BOSS. BOSS UP: You’re also a nurse. How long have you been a nurse? When did you start nursing? STEPHANIE: I graduated nursing school July 2011. I began my nursing career Jan 2012. I have 6 years under my belt. BOSS UP: What made you decide to venture into the world of distribution which is a completely different world from nursing? STEPHANIE: I begin my own path of entrepreneurship by becoming an independent distributor for Herbalife. When the Rap Snack opportunity was presented to me and the great demand of my children friends consistently hounding me to bring them into the Baton Rouge area, I was like “aye let’s make a career in the rap world”. I knew this would be another great step for me to advance into being a business minded owner. BOSS UP: Starting and operating your own business is not an easy thing to do. What keeps you focused and determined to achieve your goals through the expected trial and error that comes with entrepreneurship? STEPHANIE: The bond and friendship that I have made with my store owners have been amazing. It’s a glow and warm welcome every time I walk in their door. Most store owners work consistently without seeing their family for months and years with little to 4 hours of rest is an experience. So, to walk in speak a little of their language and express a fun fill moment for 30 minutes and provide a great product on the shelf gives them an upbeat. The freedom with my work schedule as well as teaching others the operations of flexibility in the business is a push for me. Being your own Boss has never felt so great therefore obstacles are things you learn to face and get past for the enjoyment listed above. BOSS UP: What would you say are some of the benefits of being an entrepreneur, running your own business and being self-employed? STEPHANIE: Schedule freedom, flexibility, and being able to offer job security to others are great benefits. The opportunity showing the younger generation you can go to college and get a degree but you can also build a career around something your great at and be your own BOSS! BOSS UP: How long have you been a Rap Snacks distributor? STEPHANIE: I have been a distributor for 1 year. BOSS UP: How has Rap Snacks helped you develop as an entrepreneur? 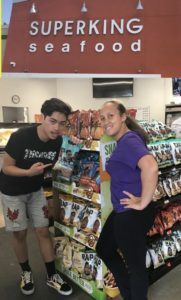 STEPHANIE: Rap Snacks has helped me to develop more of a business mindset. It’s taught me how to run a process, product knowledge, budgeting, planning, designing a flow, as well as managing a team of employees. BOSS UP: Have you experienced any obstacles or difficulties on your journey as an entrepreneur? Any that you may attribute to being a woman in an industry currently dominated by men? STEPHANIE: I have not experienced any obstacles/difficulties along the way that wasn’t easily addressed. I have endured nothing less than prestige in the community dominated by men. BOSS UP: What’s your passion? What inspires you? STEPHANIE: My passion is to provide excellent service that goes with an excellent product. BOSS UP: Do you have children? If so, what do you think they can learn from your self-determination and entrepreneurship that they may not have learned from your career as a nurse? STEPHANIE: I have 4 children, 2 boys Tim(15) & Timel(12) and 2 daughters Timiya(6) & Timareya(4). I actually have introduced my children to the industry. They have worked in all aspects from knowing the product, selling the product, managing employees, and calculating the expenses, payroll, and profits. They can learn and develop the role of being a boss to run a company in a field that they enjoy. They know hard work pays off. As for nursing, they know it’s less flexibility and freedom as well, you are an employee not an employer. 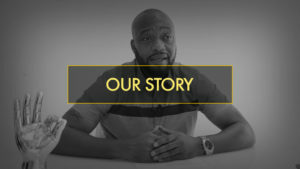 In the boss world you can introduce and help provide jobs to the community for better. BOSS UP: How does it feel to have started your own business and is now in a position to employ others? STEPHANIE: It’s an amazing feeling to be a boss to pass on the knowledge that I have learned. I feel it’s a privilege to develop opportunities for people that are in need of a job and I have the ability to better their lives. 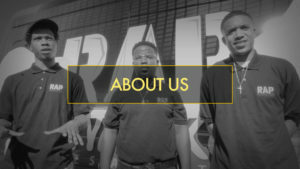 BOSS UP: The Rap Snacks Boss Up Entrepreneurship Program is about finding creative ways to solve social problems. What social problems do you think entrepreneurship can solve? STEPHANIE: It will build better self-esteem to the world. It shows yes! You can get a degree and work for someone, but why not be a developed business minded person and have the opportunity to help others in your community. It will lessen crimes and give others a different look on life. Why not develop something your great at and involve others with your talent? BOSS UP: What advice do you have for others who may be interested in entrepreneurship or starting their own business? STEPHANIE: My advice is take a leap on Gods faith and you will prevail. If you don’t try you will never know your abilities. I’ve did just that. BOSS UP: Thank you for taking the time to chat with us Stephanie. Keep changing the world!